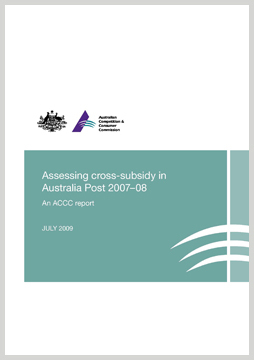 Each year the ACCC issues a report on its analysis of Australia Post's regulatory accounts for the preceding year, to determine whether Australia Post has used revenue from its reserved services to cross-subsidise its non-reserved services. Reserved services are services for which Australia Post has a statutory monopoly; non-reserved services are services it provides in competition with other businesses. This should be read in conjunction with the ACCC’s principles for the disclosure of information it receives under the record-keeping rules.